Everything points to the fact that the Craft was flourishing in Ireland in the sixteenth century. It is impossible, however, to be dogmatic about the point, whether or not it possessed any esoteric ceremonies. With most of us that will be a matter of faith rather than evidence. 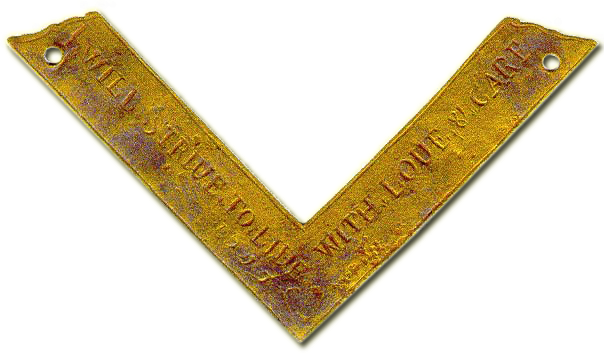 Yet if we may trust the testimony of a certain old relic of antiquity, some measure of ethical symbolism was associated on occasion with the implements of masory, as is shown by what is usually known as the "Baals Bridge Square," carefully preserved by Union Lodge No. 13, Limerick, warranted November, 1732, and probably "time immemorial" like others of our ancient Lodges. This ancient brass square "was discovered in excavating the foundations of Baals Bridge, in the City of Limerick, in November, 1830. It was dug out of the eastern corner of the foundation of the northern land pier on the Kings Island or English Town side of the river Shannon, where the abutment of the new bridge now  stands." The position in which the square was found indicates that one of our Masonic customs, still in vogue, was practiced in Ireland over 400 years ago. 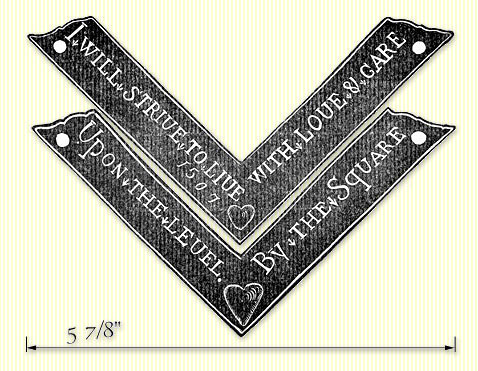 The annexed sketch of the square is an exact facsimile (full size) reproduced from a rubbing, a matter of some difficulty owing to the metal being much corroded, made for us by Brother James Le Gear, the courteous Secretary of Triune Masonic Lodge, No. 333, Limerick. * See article by Bro. Twiss in A.Q.C. xviii. 18; and The Freemasons' Quarterly Magazine and Review, 1850, p. 320. History of the Grand Lodge of Free and Accepted Masons of Ireland, John Heron Lepper and Philip Crossle. Dublin: Lodge of Research, CC., 1925. pp. 29-30.